I don’t read a lot of year-end music lists. I simply don’t care that much about a bunch of other people’s opinions on what was good, bad and how so. (They do help me catch up on the awesome music I missed, so thanks for that, list-makers!) So why am I making one? Because DC music artists accomplished some seriously cool stuff in 2014, and while it would be nearly impossible to encapsulate all the great things that came out of a music scene that only gets better, I figured I could at least highlight some of the output that I regard as “exceptionally exceptional”. So I’ve identified a small handful of categories, identified a standout, and brought you some discussion of the awesomeness of each entry. So do a deep read or just use it as a quick guide to point you towards some of the really excellent work done by DC musicians this year. Before I even begin discussing this artist’s work, allow me to say that I’m pretty proud of the way I discovered my favorite new musical act from DC: It didn’t come from word of mouth, seeing them play a show or or social media. Instead, I found J Lima Foxtrot’s music by cross-referencing upcoming show listings with Google searches in a sweep to identify new tracks for an episode of the Hometown Sounds podcast this past September. There’s a library science grad student out there who’s either nodding approvingly or yawing in boredom. Whatevs dawg, I struck GOLD. Jessica L. Fenton, the songstress and audio engineer mastermind behind J Lima Foxtrot’s simultaneously muscular yet elegant music undoubtedly has some formative years behind her, and I haven’t even looked terribly hard to see what kind of recordings might be publicly available to document her development prior to J Lima Foxtrot’s debut wishy washy EP. It’s a lot more fun to think about her as an Athena-type figure, appearing as a fully formed having existed for all eternity as someone who never had to stumble through the awkward ineptness of youth. 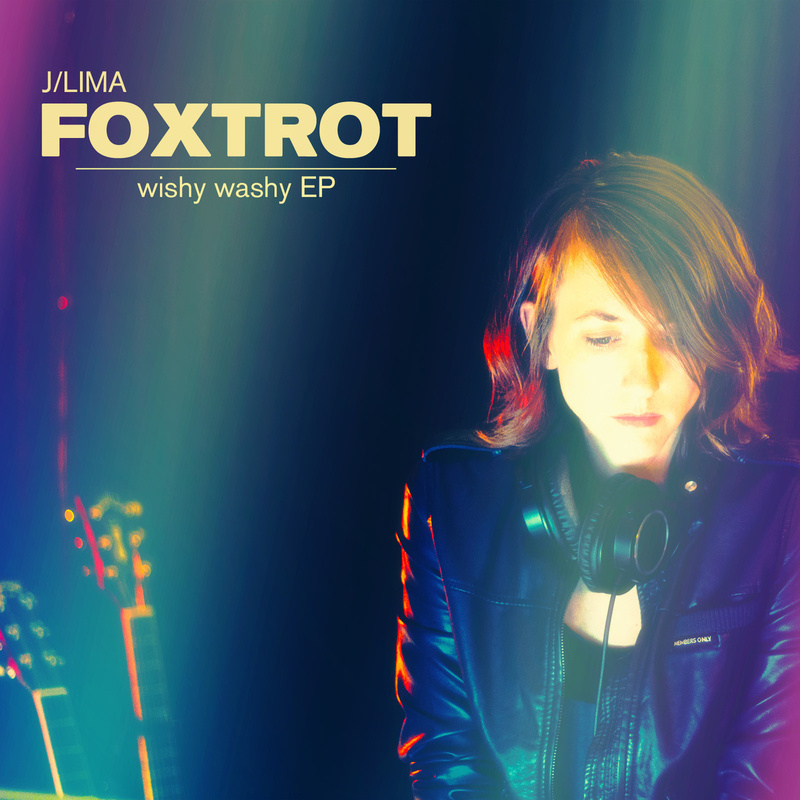 What’s most remarkable about J Lima Foxtrot is the wonderful balance of both contemporary and classic pop music. The primary building blocks for her recorded tracks are fashionable, earth-shaking synths in the vein of CHVRCHES and electronic percussion with bigger beats than average rock music. In this respect, J Lima Foxtrot dodges the problem of straightforward guitar rock being pretty obsolete as a catalyst for dance floor booty shakin’. Which isn’t to say there isn’t guitar playing on the record. Really good guitar playing actually, but it’s just not at the forefront all the time. “Cell Mates” features some very haunting and well thought out arpeggios and the guitars on “Flashbacks” range from unobtrusive melodic tracings to a classic rock takeover in the song’s bridge. 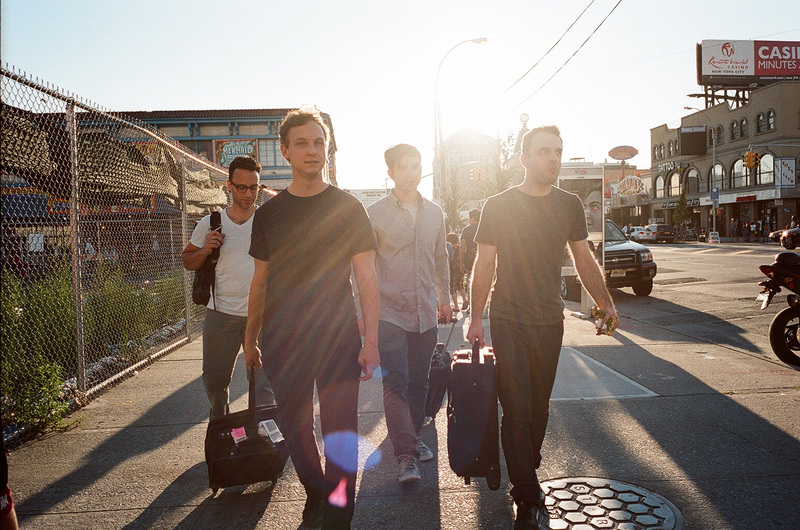 On the subject of “Flashbacks”, the track serves as an excellent example of J Lima Foxtrot’s merging of contemporary electronic with classic pop. It’s an awesome anthem of the “belting out your pain to reach emotional catharsis” sort. Actually, what hilariously comes to mind when I listen to the song is the scene in the movie The First Wives Club (1996) where Bette Midler, Goldie Hawn and Diane Keaton bust out a playful, stumbling performance of Lesley Gore’s female independence song, “You Don’t Own Me” (1963). (It’s also easy to amusingly envision “Flashbacks” as a karaoke number most under-skilled/white wine buzzed performers would totally faceplant given the unpredictable rhythm of the verse’s vocal melody that’s placed over pulsating synths and no guiding percussion). The chorus of “Stolen a Moment” is joyful ‘80s dance pop à la Whitney Houston’s “I Wanna Dance with Somebody”, complete with the cheesy, cupboard clatter of ‘80s electronic percussion (you know, all that goofy stuff being hit that’s definitely not on your run of the mill drum kit), while “Blindspot” embodies the Top 100 bump n’ grind of Lady Gaga. “Provoke” similarly proceeds to get down and dirty while also appearing so ripe for a remix (YO DC DJS GET ON THIS PLS). Hometown Sounds’ Paul Vodra and Tony Porreco meeting J Lima Foxtrot following her performance at the Black Cat this fall, 11/21/14. 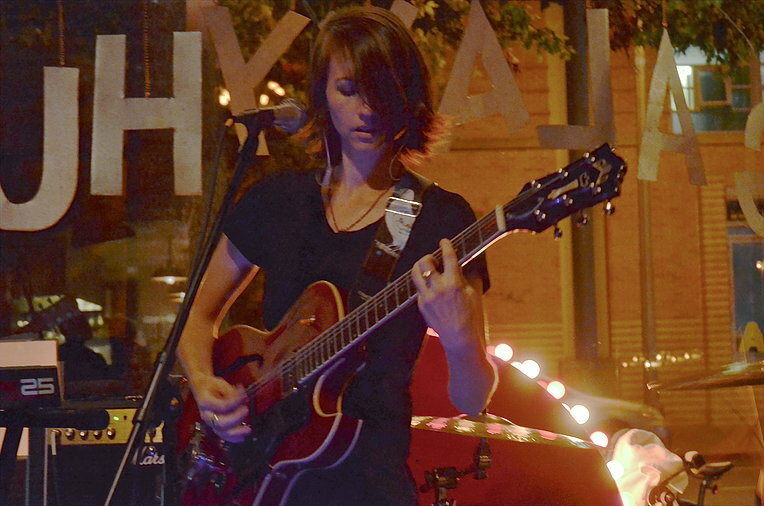 I don’t know what direction Fenton will head towards next and it’s hard to speculate because again, she’s arrived on the DC music scene with such a fully formed sound, but regardless, I’m certainly excited for whatever’s next. So enjoy my pick for Best New Artist, peace OUT. 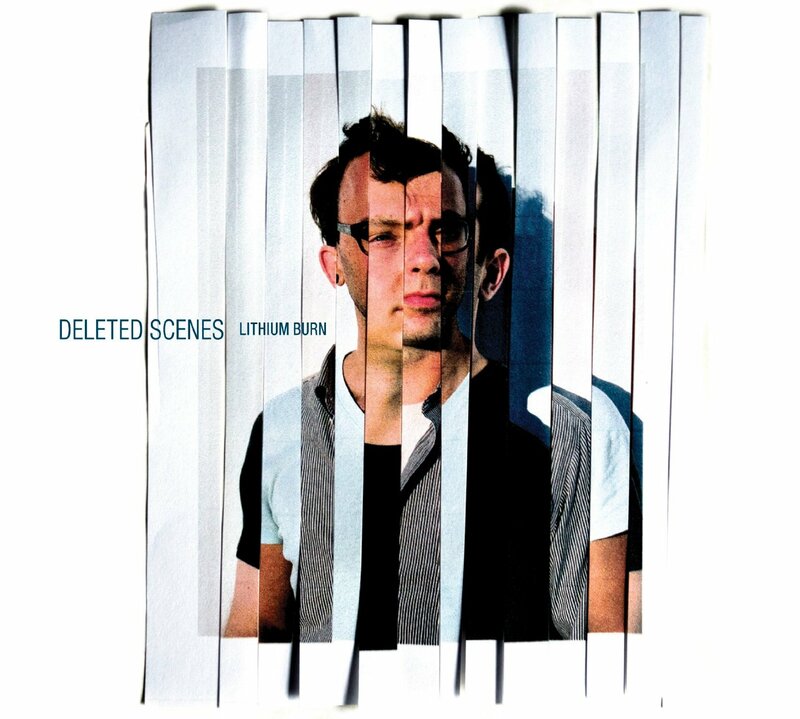 Admittedly, it was really late in the game before I really got to know Deleted Scenes this past summer. I’d heard “The Days of Adderall” thanks to coverage by various DC music blogs, but that was pretty much it. Based on that track, I expected similar songs replete with trippy, electronic swirls, and while there was some of that, I was surprised to encounter traditionally structured songs, albeit it with off kilter, corkscrew arrangements that frequently left me feeling as though I was stumbling over some exceptionally rocky terrain in the dead of night, not knowing where the bumps are. I love this record. It’s aggressive, either passive or forthrightly so. Vocalist Dan Scheuerman sounds pained, damaged beyond emotional repair and often so pissed off/let down about life in general. Pitchfork’s review (authored by the difficult-to-please Ian Cohen) of the record last spring sparked noticeable irritation among DC music fans. The number was actually just fine for a Pitchfork review (6.5 from Pfork ain’t nuffin’ to sneeze at), but Cohen’s written treatment of the record was less favorable, writing that “while Lithium Burn [is] an honest album, many of those same qualities don’t necessarily make it compelling.” I on the other hand, find considerable beauty and wisdom in the band alternating between lashing out and bending over sadly to accept a world offering nothing but indifference to whatever you do, irrespective of action or inaction, whether that involves being in an rock band or experiencing yourself as a career-underachiever who’s perennially stuck drifting along the bottom of your age cohort’s definition of success. As the listener, you’re either catching ire or finding yourself the target of a band who specializes in throwing shade. There’s a bit of a nostalgia factor for me too. A quick Google search revealed I wasn’t the person to observe that Scheuerman’s slightly nasal voice sounds more than a little like Ben Folds, with one blogger noting that that Deleted Scenes somehow “split the difference between [Ben] Folds and Radiohead”, which definitely comes across on “Landfall”, the resigned sad-sack ballad featuring a slew of bumpy minor chords in the verse that leaves me thinking about “Everything In Its Right Place” or “Morning Bell”. Also, the guitar leads on Lithium Burn are excellent. They’re all over the place, replete with choppy phrasing and a wild, deranged style. I encourage you to buy this record on and enjoy the ride, which features both high velocities and rush hour crawls, eventually parking with the standout angry grunge of “You Get to Say Whatever You Want”. Ultimately, this record came out on top for me as embodying the Best DC Album of 2014 for its combination of emotive expression in song writing and consistent ingenuity of arrangements. There’s a very special place in my heart for Presto Bando. They were one of the first DC acts I encountered when I first began dipping my toe into DC music, and they set an incredibly high bar in terms of their live show, which was always manic and predictably unpredictable. I don’t know if guitarist/vocalist Brandon Ables has ever sung (or in many cases, squawked) a song the same way twice, which always kept things fresh. Though they’ve lamentably become a mostly studio band since 2013, Sargentile and its predecessor (the awesomely titled) Witchtopher Columbus contain more than enough hyper-weirdness to keep me a proud fan. On this track, a drum machine spits out a skippy beat with hi-hats that sound more like the hisses of a factory being pushed towards implosion by overly demanding operators and Ables hurriedly speak-singing through phrase after phrase, occasionally multiplying his voice in different octaves to bizarre effect. However, it’s not until the final seconds of the song when you can clearly make out a couple of naked strums on an electric guitar that you realize that underneath all the fun busy-ness, it’s been two guys tricking out a two chord vamp with one of the coolest arrangements ever. I generally hate it when bass players show off and hot dog on their instruments: The result is usually an unsalvageable abandoning of a song’s rhythmic backbone. But bassist Corey Shinko’s meandering “lead bass” style has remained a uniquely wonderful component of Presto Bando’s sound over the span of the group’s four releases. Similarly, that’s certainly the case on my favorite cut of 2014, “Apron” from their latest studio album Sargentile. It’s arguably the best he’s ever played on a Presto Bando recording. On many other Presto Bando bass parts, it’s easy to call Shinko out on abandoning the beat in favor of his improvisational approach to bass, and while there are infrequent traces of that here on “Apron”, his rapid fire, devil-may-care approach to his instrument hardly misses a beat and does a great job of anchoring the song rather than leaving it rhythmically stranded. 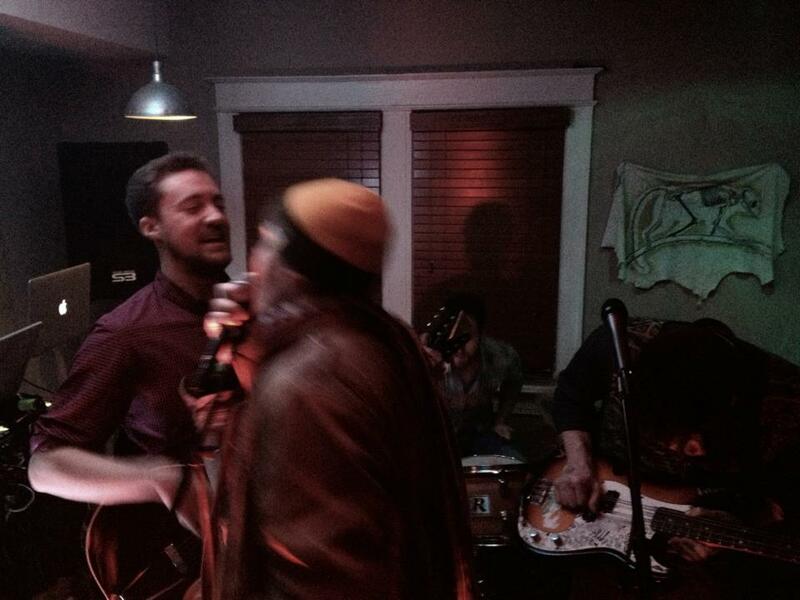 Ables has gone on record stating that “‘Apron’ epitomizes what [he wants] to accomplish with Presto Bando’s sound.” and while the more mechanized number is more than a few steps away from their country fried-punk origins, the song serves as an excellent document of the group’s fascinating creative journey. I don’t like it that the a band is appearing on my list twice either, okay? But it partially boils down to the fact I don’t really go out of my way to check out music videos. Listening to full albums takes enough of my time, and a lot of that happens when I’m on the go. Similarly, it’s harder to make time for music videos just based on mobile bandwidth limitations and annoying load times. Anyway, part of my inspiration for this Best Of list was that Deleted Scenes’ video for “Stutter” didn’t make HTS Main Man Paul Vodra’s Top 5 Videos of the Year. His stated response for this brilliant video not making the cut? “It was in the Top 10, but not Top 5. I was more in the mood for uplifting videos. That one was too down for me.” And it is a downer, but a really fun one! I picked this video for its sordid narrative and high production values. Dustin Diamond (Screech of Saved by the Bell fame) plays himself, and start to finish, he just can’t catch a break, which also fits nicely with some of the themes present on Lithium Burn. Doubly amusing are the video’s characters mouthing the song’s lyrics perfectly in synch with the song’s vocal track. 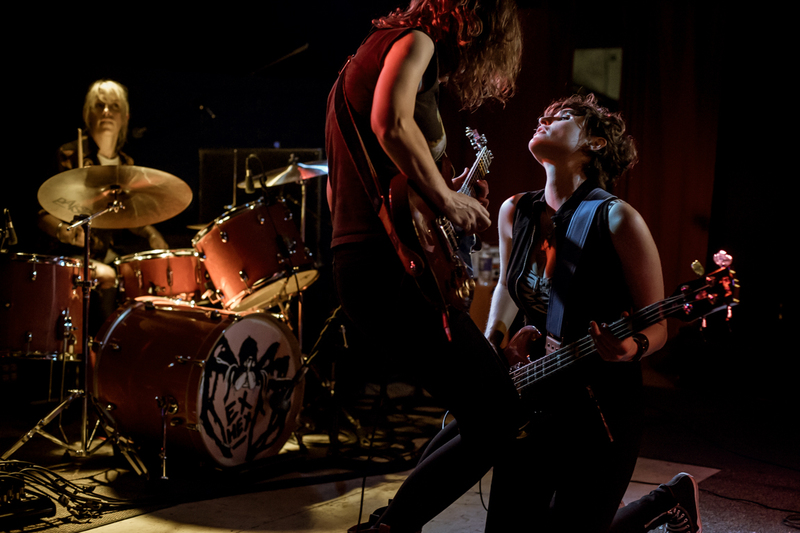 Best Live Show (in other words, the best I show I found myself at in 2014) goes to Ex Hex for their performance on the Black Cat Mainstage Sunday October 5. The confidence of these three women was truly inspiring. The biggest lesson I took away from their punky, rollicking set is that you can still totally rock (and look awesome doing it) as you approach middle age. Mary Timony et al all looked totally unfazed and at ease performing in front of several hundred people. Along with the likes of Carrie Brownstein, Ian Svenonius and Stephen Malkmus, Timony’s in that narrow pantheon of slightly older (than me, anyway) artists that remain effortlessly cool, despite the fact that it’s no longer 1994. Ex Hex gives me hope that maybe I won’t be playing boring dad rock when I’m pushing 40. And that’s it! 2014’s a wrap. Catch you in the New Year with more of what we love to bring you at Hometown Sounds: More installments of Music Video of the Day, more episodes of the Hometown Sounds Podcast, more exclusive premiers. Enjoy the holidays, DC; see you in the New Year. 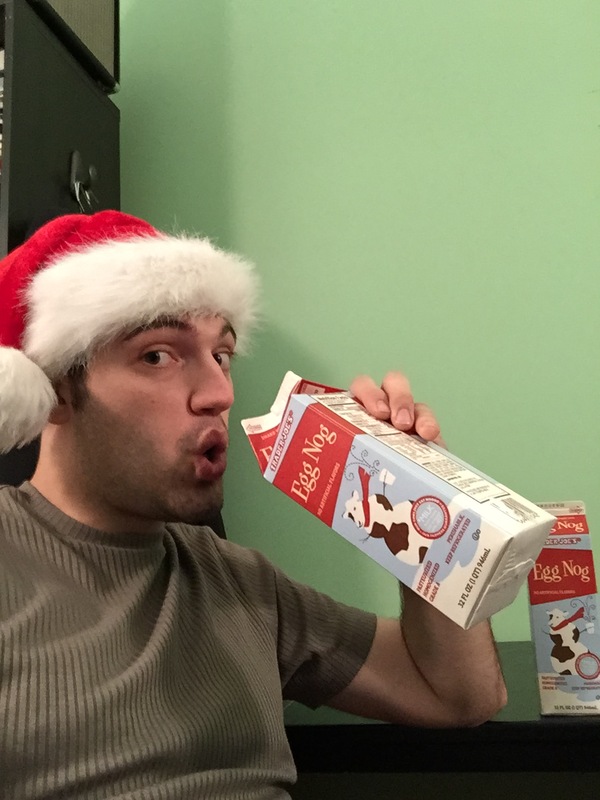 Until then, there’s a carton (or two) of egg nog that’s callin’ mah name!